What's in Tampa other than Cigar City and that chain restaurant bar? a) Have craft beer bars/brewpubs/breweries. c) Have enough non-beer related activities for family. c) Have active homebrewing clubs that volunteer to help and have submitted a bid for the conference. Is it always in a "big" beer city? Maybe, maybe not, depending on your definition of big, I suppose. However: the conference was in Baltimore twice before, and they were both a really good time (at least, I know the second one was personally). There's a lot of beer happenings in the area because craft beer and homebrewing has been popular for a while -- definitely before the first craft beer bubble in the late 90s. Some good ones from the first boom didn't survive, but the city and the greater metro area has plenty of breweries as mentioned above, old and new, as well as the nearby Delaware and south-central PA areas. - 16 homebrew clubs in central maryland. - Oliver's, at the Pratt Street Alehouse, making English ales since 1993 with ringwood, open fermenters, and a true 7 barrel Peter Austin system in the basement. - Max's Taphouse (http://www.beeradvocate.com/beer/profile/1189/), all around great beer bar with 145 taps and host of the best Belgian festival in the US every year, according to the Good Beer Guide to Belgium. Yeah, I did too from the conference App, followed by "oops Baltimore!". Maryland has a mature homebrewing community. We also have a homebrew club association called the Free State Homebrew Guild. The Free State Homebrew Guild was a first within the AHA. If anyone bothered to notice, the NHC 2015 tasting glass sports Maryland Homebrew's logo. Maryland Homebrew has been in business since 1992 (www.mdhb.com). I have been a customer since the basement days. A lot of home brewing supply stores have come and gone in the last twenty three years. I live in Mass near the NH and Vermont border. VENHMA? MANHVE? 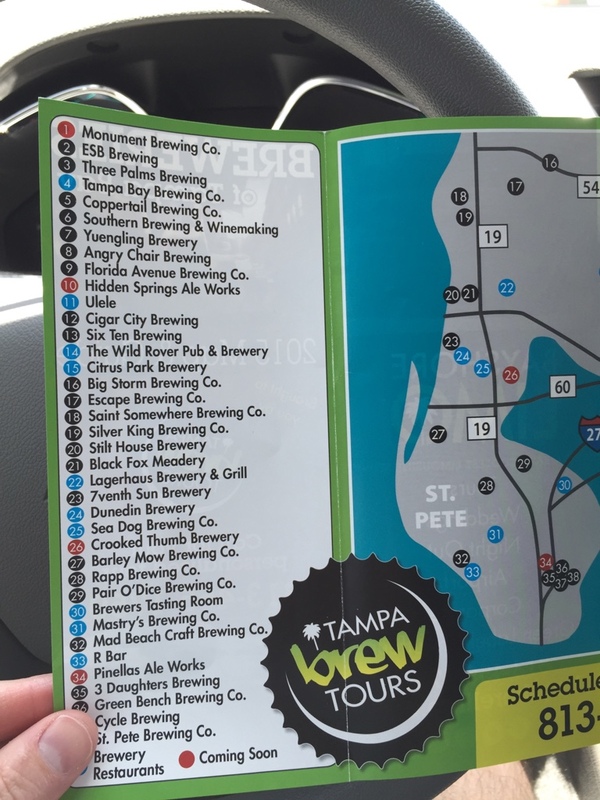 There are 3 CCB related properties (the brewery, brewpub, and cider and meadery), Tampa Bay Brewing, Coppertail, Dunedin, Rapp, 7venth Sun, Cycle, St. Somewhere, and Green Bench, just off the top of my head. I've been to a surprising number of those. On a scale of 1-10, how serious is the humidity in Tampa in June? 10 being the most humid, I'd ay 10. I tell you what, it was a real shock coming back from San Diego Sunday night. About the same as these parts. It's only about a 10 in June. Wait for July and August for it to go higher. It was rainforest-level humidity when we got back Sunday night, but we had a week of unusually hot weather and a ton of rain. If you're lucky, the mid-atlantic could be nice in early June. I thought we were all homebrewers? If the standard weather in the South bothers people, they would outright die on one of my summer brew days. I remember Philly being hot and humid, with a daily afternoon thunderstorm rolling through.